Critical Condition: Revisiting Composer Virgil Thomson's Masterful Prose : Deceptive Cadence A remarkable American composer was also one of the country's finest critics. Another leading critic reflects on both his predecessor's work and music journalism today. 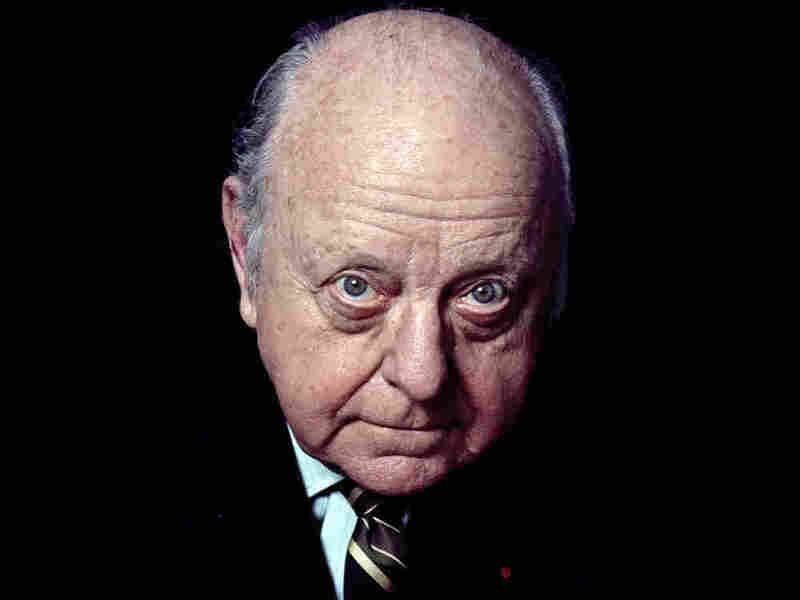 Talk to nearly any classical music critic about heroes of the trade and one name usually comes up: Virgil Thomson. Anthony Tommasini of the New York Times advises: "Every practicing and aspiring critic today should read Thomson's exhilarating writings." 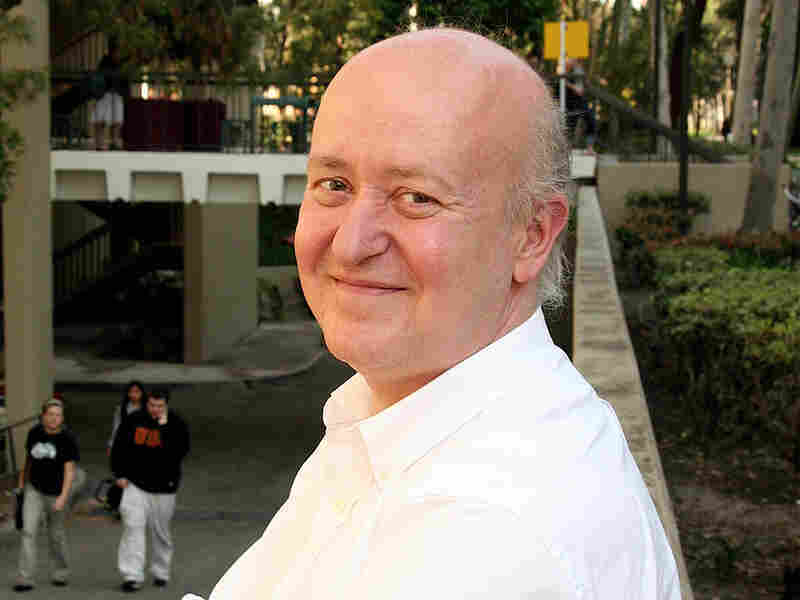 Tim Page, the Pulitzer Prize-winning former critic of Newsday and the Washington Post is another Thomson enthusiast. He has edited reissues of the critic's important books and articles. The second volume for Library of America, Thomson: The State of Music & Other Writings, was published in August. The first was selected as one of NPR's best books of 2014. Thomson — the only composer to win a Pulitzer for a film score, 1948's Louisiana Story — was equally gifted in writing about music as composing it. From 1940 to 1954 he was at the New York Herald Tribune. Page says Thomson "wrote about music with humor and a vivid method of description that was possible to comprehend and enjoy whether or not you were a trained musician." Thomson had his shortcomings, too. Page points them out in the conversation below, which opened up broadly to include the state of classical music criticism in America. You can also hear Thomson himself discussing the composing life, as well as his friendship with Philip Glass and work with Gertrude Stein. Page and I also discussed his personal struggles, including a recent traumatic brain injury and a life lived on the autism spectrum. You can explore that part of our conversation on our health blog, Shots. Tom Huizenga: Anthony Tommasini at The New York Times recently said in an article about this new volume you've published that Virgil Thomson was "one of the most astute and influential critics of the 20th century." What was Thomson's influence — if you agree with that statement, that is? Tim Page: I agree. However, one quickly has to add, as Tony does in that article, that Thomson has some pretty major faults. He promoted his friends shamelessly. He simply didn't understand and/or respond to a lot of different composers. He didn't like Wagner very much. Or Sibelius. He wrote a blistering essay about the Mahler "Resurrection" Symphony. Virgil startles people. But then again, he's so much fun to disagree with. Even if you think he's wrong on this or on that he's still really interesting to read. And I found when I was first becoming a critic, back in the '70s, that reading critics that I disagreed with profoundly, if they were smart and engaging, was one of the things that inspired me to add my voice to the discussion. Is Thomson is still influential today? It's hard to say. It's not like it was in the old days when everybody is sitting around waiting for the newspaper to come out and find out what people thought of this or that. I mean critics can still make a difference. But the power to close a play or, to take the opposite tack, to make a play a huge success, is not something critics can do in the same way that they once could. Is Thomson influential? Certainly for those who care about the art of music criticism. There isn't a critic out there who will not learn something from reading Virgil Thomson and I would say the same thing about anybody who is really serious about music too. What's interesting about him too is that his scope of curiosity was so wide. He wrote about the process of being a critic and being a composer with articles like "Instruments of Criticism" and "Why Composers Write?" and "The State of Music Criticism." And he commented on the workings of orchestras and boards of directors and philanthropy. It's a fascinating view. Yeah, he wrote as both outsider and insider. Virgil could not be swayed by the high powers in the in the music community. He wrote in a different time, with a tendency to generalize wildly, which was very common at the time but is now just about the worst thing you can do in your in your writing. Here's an example of him being a little bit more generous, which I think is typical Thomson in terms of the scope of his interests. He writes about Rolling Stone magazine in 1974: "Rolling Stone, a thick weekly tabloid devoted to pop and rock, is charmingly written for the most part and sometimes distinguished. I recommend it. It does not read like paid advertising; it reads like criticism, though I am no judge of the materials that it purports to cover. Nor do I know what interests own it. I merely enjoy its vigor." Isn't that nice? I think that's a terrific paragraph – and that's sort of the way I think people now should read Thomson. They won't know all the artists he's talking about; they certainly won't know the worldly circumstances of what was going on with those artists at that particular time, but it's still interesting reading. Criticism really can be an art in itself even if we know nothing about what is being discussed. And I think that is a very open-minded way of describing Rolling Stone by a man born in the 19th century. I feel in a way Thomson's music has been a little bit ignored compared to his writings. And as my NPR Music colleague Mark Mobley points out, in this election year, someone really should be mounting a production of Thomson's Susan B. Anthony opera The Mother of Us All. Where would you recommend starting when approaching his music? I would probably start with that particular opera. It's gorgeous. He and [librettist] Gertrude Stein, who quarreled like mad, worked together wonderfully. I mean it's a little like Gilbert and Sullivan, who never liked each other very much. It's an important work that examines feminism and women's suffrage. It's been done at least a couple of times in the last dozen years or so, I believe. And I think it will continue to be played. It's not just the operas that are good. I enjoy the Cello Concerto and some of the film scores. But one thing about why we don't hear more Virgil is the fact that not a lot of it is all that good. A lot of it really seems kind of trivial and kind of tossed off. I think if you talked to Virgil in an honest moment he would confess that. It's tempting while reading Thomson to get all nostalgic for the days when more people cared about classical music criticism. Thomson makes criticism seem as vital as the music itself. This was a time when composers and conductors actually appeared on the covers of Time magazine. When I started writing criticism regularly, The New York Times had something like four or five staff critics as well as three or four people who were stringers who wrote everywhere. When I was at Newsday in New York, as their chief critic, I was there with Peter Goodman. The New York Post had a classical music critic, Harriett Johnson, as well as some very fine stringers. The Washington Post had two critics when I was there with Joseph McLellan. Time magazine had its regular critic and Newsweek had a regular critic. You had classical music criticism all over the place. It's very different now. And I miss those days too. In 1974 Thomson wrote: "In no American city is there the number of papers there were in say, 1910 or 1920. And among those still surviving, none can offer its former spaces or the late deadlines appropriate for filling them." So in '74 he was already lamenting some cutback. It sounds kind of prophetic. That's for sure. And remember, there were great critics before Thomson, too. Critics who are still very much worth reading: W.J. Henderson was one, James Gibbons Huneker was one. Also Henry Finck. There were a lot of very fine critics in those days, and pretty much every small newspaper had a critic. So in 1974, Thomson is lamenting the fact that there are fewer papers and fewer opportunities. And now, at least by some reports, there are only about a dozen or so classical music critics at U.S. papers today — a drastically smaller number from some five dozen critics about 20 years ago. So my question is, other than those of us who write about classical music, does anyone really care about that? Or should anyone care? I think people do care. But not a huge amount of them. And I think a whole new generation has grown up without thinking about newspapers. I have three children ranging between 21 and 30 and I don't think they ever buy newspapers, you know. They're smart kids, and they make use of the fact that you can actually get to the newspaper sites online and learn about what's going on in the world. But I don't think they feel morally bound to support papers because it's just nothing they've ever really gotten used to. And I don't know where this leads. Thomson also wrote: "It takes three people to make music properly: one man to write it, another to play it, and the third to criticize it." Now that last person, it seems to me, is almost completely disposable today. Well, you know I would agree with you except for the amazing amount of writing about music that you find online. It may be disposable from a professional standpoint. Let's put it this way, if you're trying to decide whether to go into music criticism or something which will pay you a little better, pretty much anything you might want to consider will pay you a little better. On the other hand, you read these very long and sometimes very smart reviews on Amazon which go on for eight or nine hundred words, not by professional critics — and of course I'm not saying all the reviews can be trusted — but you'll find some really smart people writing about music. There are a number of contemporary sites and other music sites you can go to. I think people are still interested. I just don't think that there's a business model for it anymore. At least right now. So you're a professor of music and journalism at the University of Southern California. Are you are you telling your students not to go into music criticism? Well, I look at it in a funny way. I think what I teach them will be important to them. But it's different. Am I trying to lure them by saying, "Someday, keep this up, you're going to be the music critic of the New York Times?" No, that's not the way it works — or at least not the way it is likely to work. But I found that almost all the students with whom I've remained in touch have gone on to do really cool things. I have students who've gone on to be biographers, scholars in one manner or the other, arts advocates, or involved in public relations for artistic organizations and, yes, some who are critics. I'm really teaching them how to write and how to think about things critically. And we don't get a lot of critical thinking about much of anything these days, but especially about the arts. And one of the things Virgil said one time — when he was asked about criticism and whether there was any point to it — was, you know there are problems with the medium but it's the only antidote we have to paid publicity.